In 2018, we saw a number of marketing trends find their footing and take off. Brands have begun harnessing new tactics like augmented reality, video, experiential marketing and micro-influencer partnerships. In 2019, companies will likely continue to develop innovative methods, and not just in digital marketing. Print marketing has been back on the rise as audiences begin to tune out digital messages. Adding print marketing to digital solutions can increase ROI by nearly 240 percent, according to news media promoter Cebuco. Print materials earn trust and produce better comprehension from audiences, because people are less distracted when they read a message in print. Brochures can be an informative and interactive resource to give your audience during a presentation, trade show or conference. You can even keep them stocked in your lobby or reception area so waiting customers have something to read. They’re especially helpful for communicating large amounts of information in an easily digestible format. Brochures can also be printed at a very low cost, making them an affordable option for both evergreen and seasonal print materials. Fresh marketing tip: think beyond the old-school tri-fold brochure design. Create brochures that are a different size than the common brochures you always see, such as triangular, circular or hexagonal. Your piece will immediately stand out and draw attention from a pile on a desk. Even in our social media era, business cards are often still the first impression someone will have of you, your brand and your business. According to Statistic Brain Research Institute, 72 percent of people still judge businesses on their cards. A modern and on-brand design will keep you looking polished and professional, and you can integrate them digitally by including social media and web links for your new contacts to follow. Try a design that is cohesive with your website and other online materials to make your brand more recognizable. Fresh marketing tip: use a unique paper stock or “soft touch” coating. These untraditional materials will immediately make people notice something different about your card. Postcards are a tried-and-true marketing method that remains effective for audiences today. They are easy to create and maintain a high readership. In fact, between 80 and 90 percent of direct mailings will be opened, while most email messages will only be opened 20 to 30 percent of the time. 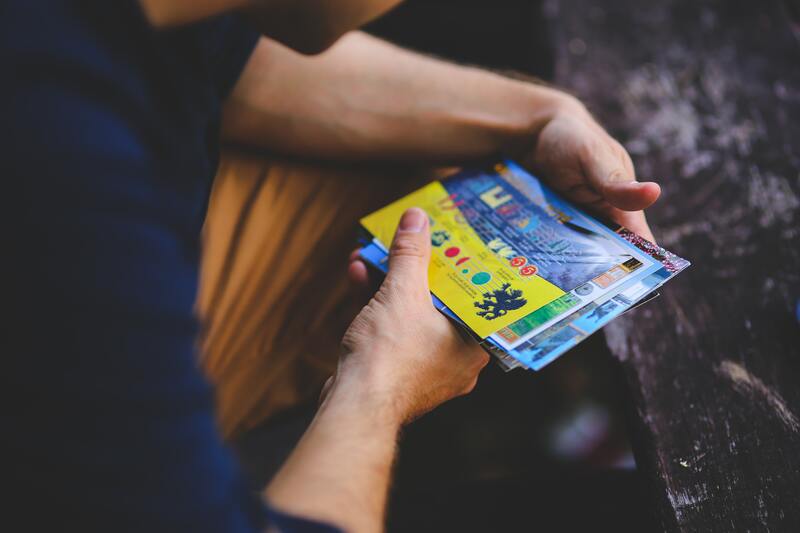 Fresh marketing tip: to update your direct mailing strategy, you might include the recipient’s name and other personalized information, print on a unique shape or add an augmented reality aspect. Digital tools will help measure the audience’s attention and the mailing’s effectiveness with analytics. As we’ve learned in the past, there are many stereotypes about millennials that are exaggerated and untrue. One that is true, though, is their desire for experiences rather than things. We’ve seen this through the increase in experiential marketing. Statista reports that 93 percent of consumers were influenced more by events than TV ads, and EventTrack reports that 98 percent feel more inclined to make a purchase after attending an event. However, you can’t create a unique experience without equally unique print materials, such as banners, signs and displays. Fresh marketing tip: include social links or QR codes to enhance the experience and integrate digital elements. With these must-have materials in mind, your brand can effectively leverage the resurgence of print marketing in 2019. Which idea will you try first?